Posted on August 30, 2013 September 8, 2013 by Emily S.
this dear scion was the first to witness our marriage as it took us to the east coast for our honeymoon. it drove miles in the dark, through canada, and with standup paddle boards on top. it was pulled in and out of our dirt parking spot at our home and into a tight alley in snow, rain, and sleet. 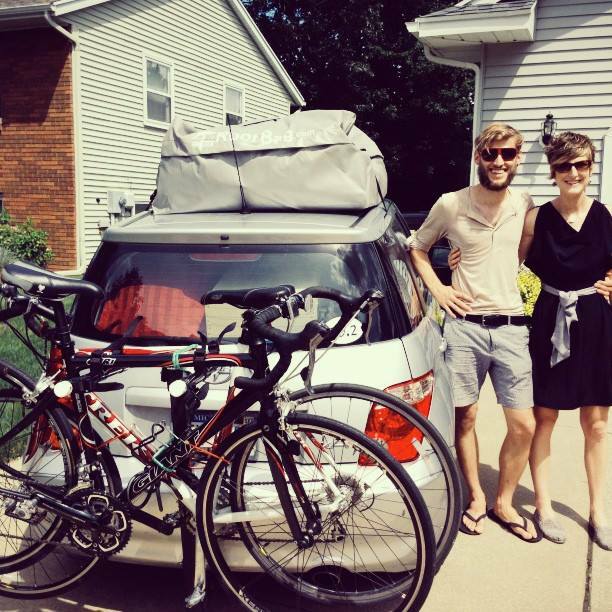 just last month, we really put it to the test on our cross country journey with all of our belongings for a year plus our bikes. it packed like a champ, held more than it ever should have had to, and made it through mountain passes, long stretches of 80 mph, and camping in the u.p. this little guy is not messing around. i am grateful for this little car and we keep putting it to the test. today, we took it down a trail that pretty clearly stated it was for 4wd vehicles only. 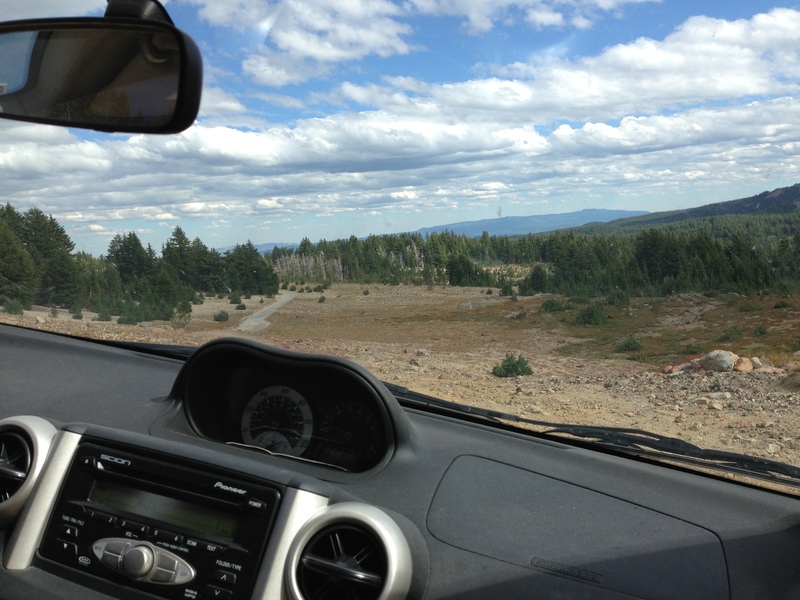 through bumps, stream beds, rocks, and completely uneven roads, it made it to the trailhead in better condition than i. our scion rested for a few hours while we climbed and then made it out of the mountain pass. boom. this car has moved me from house to house, has carried vacation supplies for chris and i, brought us to our honeymoon, and has been a rockstar. it’s non-cruise control, aux jack feature, and little motor has carried me to so many different places and through so many seasons. 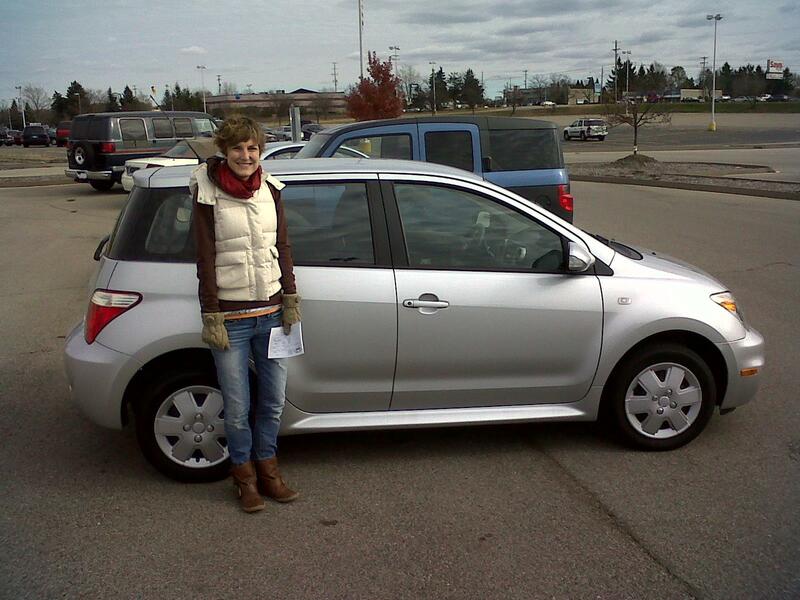 so, ode to our scion xa. we love you.